Art Jameel, the non-profit, Saudi-based foundation behind the prestigious Jameel Prize, has set 11 November this year for the opening of its permanent space on Dubai Creek. The new centre will house the collection of works commissioned by the Abraaj Group Art Prize over the past decade (2009-18). Works will be loaned long term by 30 artists from the Menasa region such as Jananne Al-Ani, Wael Shawky and the 2018 winner, Lawrence Abu Hamdan. 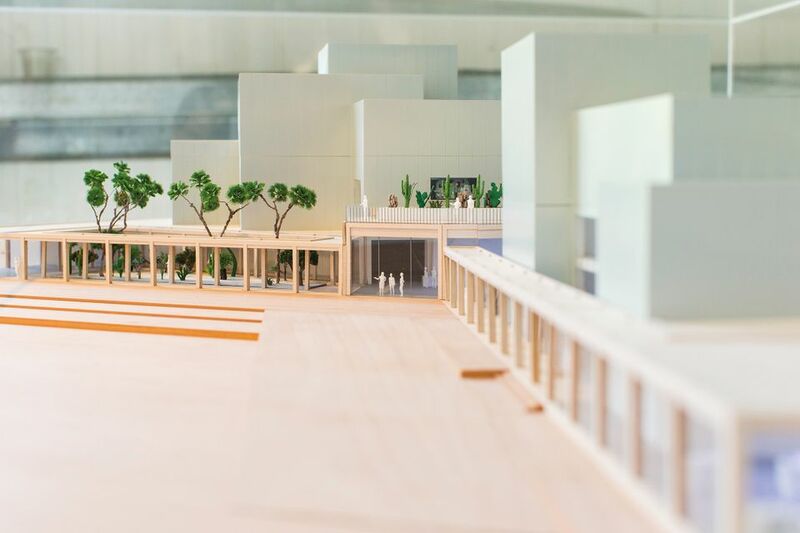 One wing of the new Jameel Arts Centre will be dedicated to exhibitions. For the inauguration, the ground and second floors will feature five solo shows, drawn mainly from the collection. The first floor, a 500 sq. m space with additional outside courtyards and a roof terrace, will house a thematic curated group show conceived by an international guest curator (details of the launch exhibitions, which will run until March 2019, are due to be announced in the autumn). “The Art Jameel collection includes Middle Eastern artists with a selection of international names,” says Antonia Carver, the director of Art Jameel. Acquisitions at last year’s Art Dubai by curators for the collection included the mixed-media installation Procurando Jesus (Looking for Jesus, 2013) by the Brazilian artist Jonathas de Andrade and several pieces by the Lebanese artist Rayyane Tabet. Carver outlines the curatorial thinking behind the centre. “Our in-house curatorial team, aided by the advisory council, which includes members such as Jessica Morgan [the director of the New York State-based Dia Art Foundation] and the curator-critics Shumon Basar and Murtaza Vali, have explored the idea of the creek as a connector, linking people and ideas and boosting trade. This fluidity of geographies and concepts underpins the centre itself,” she says. The 10,000 sq. m centre, designed by UK-based Serie Architects, features an open-access research centre and library in a separate wing, along with an events space and outdoor sculpture area. The Kuwaiti artists Alia Farid and Aseel AlYaqoub will “create a botanic garden of artificial hybrid trees”, connecting the two wings of the new building, a project statement says. The work, the first artist commission awarded for the Dubai venue, focuses on sculpture. The second Art Jameel commission in 2019 will focus on research, followed by a commission for drawing and painting in 2020. In the interim, the foundation has a presence in the Emirates through Project Space Art Jameel, a satellite branch in Alserkal Avenue that is hosting a solo exhibition by the Amman-based artist Ala Younis (until 14 April), in collaboration with London's Delfina Foundation. The partnership with the Delfina Foundation will develop new programming and residency initiatives. The foundation has also hired Nora Razian, the head of programmes at the Sursock Museum in Beirut, to lead its exhibitions department. Art Jameel is also expanding its empire in Saudi Arabia and plans to open a vast culture complex in north Jeddah summer next year. The 17,000 sq. m, three-storey venue, designed by the Dubai practice Ibda Design, is known as Hayy: Creative Hub—hayy being the Arabic word for neighbourhood.